Juventus boss Max Allegri has responded to critics following their elimination from the Coppa Italia suggesting football is not the same as PlayStation. The Bianconeri suffered a 3-0 shocking defeat to Atalanta, the first domestic side to beat them this season. And Allegri reviewed the tie afterward. “We won’t dramatise the situation. We’ve lost just one game, where we were beaten heavily. “Atalanta and Lazio were two photocopy performances, but in Rome, we did well because we didn’t go 2-0 down, while things went wrong in Bergamo. “There are times in a season when you screw up, and they’re moments to be managed with total serenity. Allegri disclosed at a Press conference via Football Italia. “There’s been criticism, but the team have picked up a few points since the season started. “We apologise for losing in Bergamo, we shouldn’t have but we’ve already won a trophy, the Supercoppa, and we don’t want to let the others escape us. Allegri gave an insight into his side’s chances of winning the Champions League and he went on to demand caution and respect for the opposition. 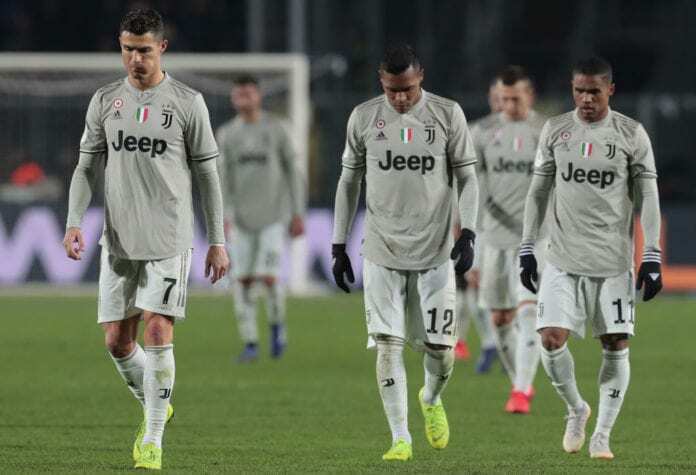 “Juventus have won seven League titles in the last seven years and reached the Final in two of the last four Champions Leagues. “When I arrived there was a fear of not being able to beat Malmo, but I thought I could reach the Final and win the Champions League with that team. “Atletico are on Juventus’ level because they’ve played in Finals too. If we’re knocked out then we’ll accept the criticism.